There is a seedy dark side to the internet. OK you knew that already, but perhaps there are forces at play on the internet that are more subtle than you realise. Lets turn our focus toward the emergence of the “Rosacea Cure eBook” Phenomenon. Over the last few years there are more and more web sites that exist to solely sell you an eBook, luring you in by claiming to be able to cure you from rosacea. You can’t read what they have to say without paying for their PDF. Will it be worth paying for? Will you learn anything unique that you can’t already discover elsewhere? How Do Recognize a Scam? Well read on and I will try to answer all your questions and save you a few dollars along the way. One of the oldest schemes that I became aware of was created by Frank Boyd back in 1998/1999. In many ways Frank Boyd was the pioneer in this growing internet commerce phenomenon. Mr. Boyd asked people to post him $20 and he would post back his cure. Yes this was before the easy availability of ecommerce sites and PDF dispensing web pages. This purported rosacea cure was to eradicate helicobacter pylori. Evidently, Mr. Boyd had a great anecdotal experience after suffering rosacea for 3 yrs. He tested positively for H. pylori and was placed on the triple rx of Biaxin, Tetracycline and an acid blocker for 2 weeks and this cleared his acne rosacea completely except for the redness which took 6 months to fade away. He claims that he can now eat anything he likes although he apparently is still taking his Pepsic Acid to control his gastric acidity. Originally Frank Boyd offered his cure for free via snail-mail. To see an archived version of an old web page of Frank Boyd from 2001: Rosacea Cure: There is a Cure for Rosacea. Ron Tramontano from Boca Raton, FL asks for $10 and a self addressed stamped envelope or PayPal deposit (to West Boca Karate) to receive his cure for rosacea. I will even guarantee you will see results. If you try this product for a full month and you are not seeing any results, send me the label off this product and I will send your money back less postage. I wish you well. I know you will be happy with the results you will get from this off the shelf product. Best we can tell, this cure involves apple cider vinegar and honey. Sadly this book (banishrosacea.com) has created a mini industry on the internet because it is available for anyone to resell. Anyone with no knowledge of rosacea, and therefore one can assume, not actually interested in helping rosacea sufferers, can become an affiliate and try to sell you this book. Thankfully the contents of this book are well known to rosacea sufferers. You don’t need to purchase this book to satisfy any curiosity you have have. The book mentions Lysine, HCL supplements, Omega-3 (avoid Omega-6), Dietary changes (avoid dairy, red meat, soda etc. ), Zinc, Burdock , Certified Bragg Organic Raw Apple Cider Vinegar either internally for stomach acid or topically and eat yogurt/probiotics. See the thread at Rosacea Support Community Forum: Banish Rosacea (now Eliminate Rosacea) Booklet for a description of what you can expect to find and opinions from people who have read and evaluated this ebook. If you need more proof about how badly wrong things can get when you allow the whole internet to peddle your wares, do a Twitter Search for Banish Rosacea. See all those references to `converts like crazy’, that refers to the posters’ assertions that if you can send some traffic, any traffic towards the Banish Rosacea web site, it will convert into sales and thus a commission at a crazy rate. The affiliate page for Banish Rosacea suggests that each time you sell a copy of this ebook for $29.95 you will get $17.35 for your trouble of promoting it. This is the basis of why there is so much SPAM around this book. Far too many people think they can make an easy few dollars peddling this PDF. It has been a long journey of trial and error. Changing diet, working on the immune system, with supporting supplements, scrupulous hygiene; following a regime for cleansing the face and hair, and most importantly learning how to deal with stress. The book develops the theme of a suppressed immune system, discusses the possible involvement of demodex mites and demodex bacteria (but introduces it as fact), moves on to Candida and antibiotics and the importance of a healthy diet. Some radical topical treatments are offered as well as detailed dietary suggestions, exercise and relaxation. At the risk of appearing vain by quoting myself, here is my previous summary. Sadly I couldn’t recommend the topical treatments suggested in this ebook, they have the real possibility to cause distress to sensitive rosacea skin. The other other lifestyle advice seem reasonable and should see positive effects for those who don’t suffer from rosacea and rosacea sufferers alike. Thus I’d have to conclude that as far as providing a treatment that is safe and viable this Rosacea Cure is in danger of leaving you wanting. Whilst not directly claiming a rosacea cure on their web site, “Autoimmune The Cause and Cure” is being pushed as a cure for a huge range of conditions. The cure is a diet that is somehow related to pancreatic enzymes. … a study done in Verona, Italy showed a decrease in the pancreatic enzyme lipase ranging from 18.5% to 66% of normal value in the Rosacea patients tested. This decreased value was for just one enzyme tested. The book shows a link to the pancreas and Autoimmune Disease. The pancreas is deficient in the enzymes that break down proteins. (DNase1 and proteases). Dietary proteins are broken down by the enzymes into amino acids and then into peptides. The peptides are abnormal because they were formed from improperly broken down proteins. These abnormal peptides then provoke an immune response. 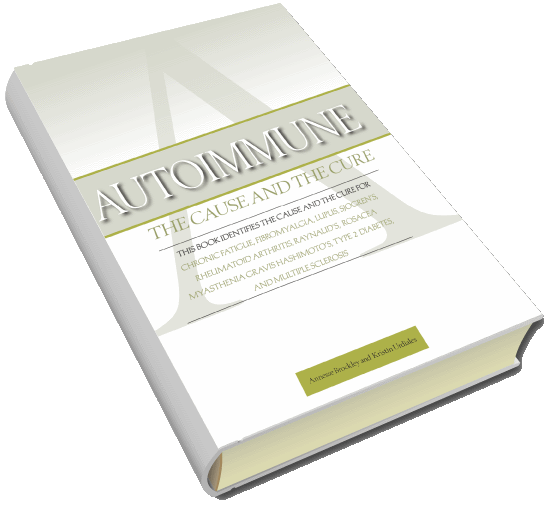 The ebook entitled Autoimmune The Cause and Cure is an original work written by Annesse Brockley for Nature Had It First, Inc. This site sells an ebook, claimed to be penned by Robert Jan Witteman. The domain rosaceanomore.net is registered to Robert Jan Hendriks. The book seems to detail diet and supplement advice as well as stress reduction advice. The book is called “Rosacea No More”. It is 75 pages on how to overcome your rosacea permanently and lead a more normal and happier life with healthy looking skin. These tactics are backed by real world experience and years of trial and error. You won’t find this information anywhere else – I guarantee it. (emphasis mine). After reading your e-book, I immediately bought the essential supplements: zinc, vitamine C and OPC. I was already take Omega 3 because I have a healthy lifetstyle to begin with. I also use an LED lamp and ordered the ZZ cream. I am using the homeopathic supplements that you recommended in your e-book. I am also doing the alkaline diet under the supervision of my dietitian and I am almost done. Then I am going to go on a vegetarian diet. I ordered ZZ cream and it works like a miracle. “For 3 weeks I have been using ZZ cream and I have to admit that this reduced my rosacea completely! Although I only had a mild form of rosacea, it was very annoying. Supposedly penned by Laura Taylor, this site layout looks quite familiar to Rosacea No More. The Affiliate link suggests that if you can send someone to this site and they purchase the PDF file, you will get 75% of the $29.95 or $22 to keep for yourself. The amount you make for generating a sale confirms to me that the there is very little value in the `book’; the real value is in the selling of the book, not for any poor rosacea suffer who actually purchases the book. The following tip on selling the Rosacea Free Forever PDF is telling. The bit of interest is highlighted; an admission that re-sellers may need to hide the fact that they earn a commission on the sale of the book in order to close the deal. If you want to investigate further, read the rest of the Affiliate page, and it will help you understand why you see so much Rosacea Internet Marketing SPAM all over your favourite internet locations. Increasingly the internet has become the first stop for anyone who is just diagnosed with anything. Even worse, the internet is the way that many actually obtain a diagnosis in the first place. When users come across a web site promoting one of the sorts of ebooks listed here they are surely confused. If they are charging for some information, it must be good right? The “building a business” bit of these web sites leads to the sorts of SPAM that internet users just hate. They clog up the good channels of the internet with stuff of low value. We need more good reliable information, not more of these sorts of spammy web sites. How Can I Help Combat These Sites ? Feel a bit jilted by these sorts of dishonest web sites? Let us know what you discovered to save others from losing their hard earned dollars. Where to get Reliable Information? OK, so these eBook deals are pretty low value. Where would you recommend people reading this far in to this article head for reliable information about rosacea? Feel like buying a book? I’d recommend Professor Powell’s Rosacea Diagnosis and Management. Expensive but it is the best Rosacea Book that you can get your hands on. In the real world (mostly) you get what you pay for. This book is worth investing in. Got any suggestions for where you found good information when you went looking? I was duped: Official Patient’s Guide on Acne Rosacea was written by a computer! Read more Rosacea Book Reviews. Oh my…. It is all enough to make your head spin. I am new to the forum and rosacea. Please forgive me, if I ask questions already discussed. Not being egotistical when saying I diagnosed myself, when at the dermatologist,s office. Yah. I had gone there concerned about a few teeny cyst like white heads, that although not noticiable were cropping up in numbers (approximately five over a period of two or three months) I almost felt foolish going to the doc, but the insurance year was almost up so what the heck. It was while I was under extreme flourescent lighting that I saw the now familiar flush and asked, “could I have Rosacea?” “I will give you something for that” was the docs one sentence reply and I recieved an Rx for topical Metronidazole creme and sent on my way. Well. long story short….. I began to flare shortly afterwards and the topical was not enough. Since then all over the internet. Went back to see another doc for oral antibiotic hoping to learn more. Inquired about demodex as a possibility. The reaction I got? ??? The PA said, “I have been in dermatology for ten years and have never heard of that”. How can I have rosacea for ten days and read so much about that as a possibility?? So much of what people here have discussed I found to be true. These docs are useless in explaining things.They seemed only interested in selling me a pkg. of IPL treatments to the tune of $1600 for four treatments. IMHO they were a little heavy on the sales pitch as Cathy has explained so eloquently. I left with another oral ORACEA script now taking for three days. I WANT TO THANK CATHY AND ALL FOR THE ONLY REAL SUPPORT I HAVE RECIEVED. THANK YOU!
. Now for my main questions please. I appear to have a very strong neurological component to my rosacea with a lot of severe burning. I have the same symptoms as many with sensitivity to flourescent and bright lights which is why I think I noticed my redness in the doc’s brightly lit office – that I had not at home. The only relief I find is the green tea and or baking soda, but the flares are sooooo frequent, even as some have stated waking me from sound sleep. This after all the cleaning of sheets, towels and laundry with borax and hot water yadda yadda. IS THERE ANYTHING ELSE FOR THE BURNING?? .The tea is only helping a little and is not so convenient as I am sure you may know. Also I read somewhere that use of IPL for someone with strong neurologic reaction is contraindicated and can only worsen the situation. DOES ANYONE KNOW ABOUT IPL FOR SOMEONE LIKE ME WITH A LOT OF BURNING? I should probably mention that I am also asthmatic and WONDERING ABOUT STEROIDAL INHALERS LINK TO ROSACEA. and that I have been experiencing intermitant after 5:00pm body itch on legs, arms and/or upper back. No breakouts no redness there like on face, just creepy crawlies that I have been treating w. tea tree oil shampoo. This is why I suspect demodex.. Face with typical butterfly redness and some PP and forehead redness. I ALSO AM AFRAID OF BEING ON ANTIBIOTICS BECAUSE OF YEAST/CANDIDA but am so confused and desperate. Any commentary will be so appreciated and I will check in again for possible reply. Thanks again and Good Luck all! Going to go tea my face as ‘puter screentime also seems to do me in. Sorry for long, winding monologue here. I wanted to say here that I have found ‘The Rosacea Cure’ by Dr X very helpful. It only costs about £5, has very good reviews on Amazon, and is a helpful summary of many of the aspects of rosacea discussed on Rosacea Group Forum and Rosacea Support website. The controversial aspect of it is low dose accutane treatment. He also discusses diet, killing demodex mites, gentle cleansing and azelaic acid 10%. I would highly recommend it. He suggests a non medical route for those who don’t wish to try the medical route. Some comments from the facebook posting of this topic.